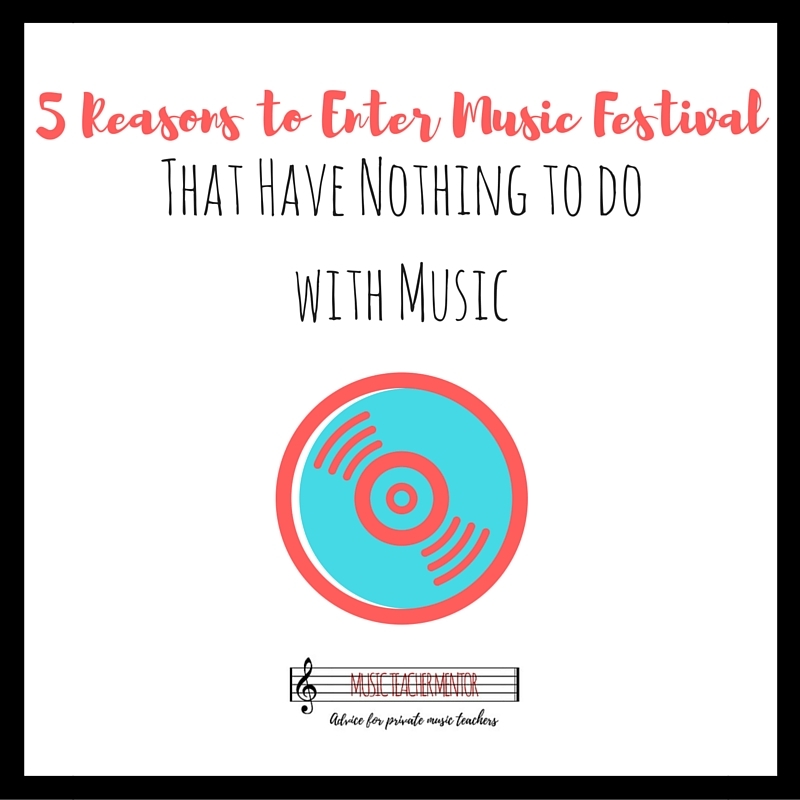 As a newer teacher, you may wonder if putting your students in music festival is really worth the hassle. There’s so many forms to fill out, and it can be daunting to get everyone prepared. I am a firm believer that every child in music lessons should participate in Music Festival, regardless of talent. (Although you have to have your piece learned and memorized, that’s a given.) Even if the student never sings or plays a note after graduation, there are invaluable life skills to be learned. Performing in front of a crowd is a huge accomplishment. It takes a lot of courage and seeing it through builds confidence. Singing in front of an audience also improves your child’s public speaking skills. No one likes to be criticized, and accepting criticism with grace is a very useful skill to have when your child lands his or her first job. Losing is also tough, and festival provides many opportunities to learn how to be a gracious loser. Mistakes are hard, but it’s what we do after we make them that really counts. On the flip side- sometimes you win! However, the music world is very small, so its important that your child learns to be a gracious winner and congratulate the other kids on a job well done. A good portion of everyone’s life is a series of goals and achieving their completion. Music Festival goals teach discipline, how to practice, and finishing what you start. I hope you’ll consider entering your students in your local music festival. The lessons last long after the music has been learned.